A couple of weeks ago, I was invited to the Ludicious Festival in Zurich to talk about crowd funding and indie video games. 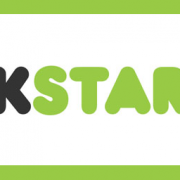 As usual, it was heavily geared towards Kickstarter, as it is still the very dominant platform. I took this as an opportunity to refresh the numbers I had on the platform and look at the current state of crowd funding for video games in general. All the data is based on the data scrapper we use with Potion of Wit. To make them easier to compare with the previous years numbers, I only took the half of the year, so all the data you see is valid for projects that ended between the 1st of January 2014 and the 30th of June 2014 included. If you have seen my slides from the Indie Game Summit at GDC13, this deck will look familiar. It’s using the same overall structure, but what is striking is where they differ. So, if you double the numbers of that first half of 2014, we don’t get near the numbers we had in 2013, the best year so far for video games and crowd funding. But we need to take a step back there too. Looking purely at the numbers of projects that get funded, the ratio is not that bad. We went from 446 funded projects in 2013 to 175 funded project for 2014’s first half. Projecting for a similar number of projects in the second half, it would mean that there were only 20% fewer funded projects in 2014. This is a decline certainly, but not a terrible collapse. Of course, looking at total amount of money pledged might be a bigger concern. 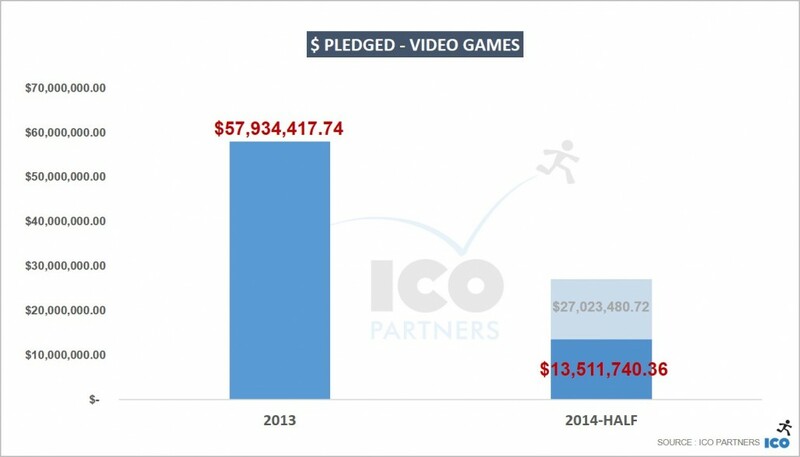 2013 saw $58m pledged towards video games where the first half of 2014 stands at $13.5m. If 2014 second half is comparable (something that is not easy considering you need a similar number of big hits), 2014 would be less than half of what 2013 has been… A sobering consideration. Why is there a decline? All the low hanging fruits have been grabbed. If you consider that there has been 21 projects getting more than $500k in funding in 2013 and only 3 in 2014 so far, you might feel that Kickstarter is done for large projects. But looking at the projects profiles, a lot of those big hits in 2013 were banking on strong “brands”: Torment, Mighty Number 9, Elite, Camelot Unchained, Dreamfall, Richard Garriott’s Shroud of the Avatar, etc. The three projects that raised over $500k in 2014 are Kingdom Come: Deliverance, Amplitude and Unsung Story. Hardly the wave of known brands that flooded Kickstarter last year. I also think that large hits on Kickstarter have a strong positive influence on smaller projects. They drive traffic to a website that people rarely explore on their own. The recommendation system also promotes similar projects once you have backed a campaign. The lack of big hitters explain the large discrepancy between the total amount raised – for 2013 they represented more than half of the total raised that year. In fact, I find it a bit comforting that video games on Kickstarter can get funded without the attention of the large (and very difficult to emulate) projects. In 2012, when Double Fine Adventure hit Kickstarter and took the game industry by surprise, there was a fresh enthusiasm for the model. It was new, it was giving the power back to the creative people and keeping you away from the “evil publishers”. Each big success was carrying its own particle of magic, and as time went by, the not-so-magic-in-the-end (OUYA) were outshined by the success stories (Oculus). In 2013, there were more caution right and left, we started to see the first game coming out, and the freshness of it all was wearing out. It wasn’t so apparent, mostly because of those existing brand going to Kickstarter were pushing its limits, but I think it was there already. Comes 2014, and people are not impressed anymore by the model. It has its shares of failures (Clang, Yogscast) that skeptics like to throw around (rightfully so sometimes), but I also think it has reached a maturity point. 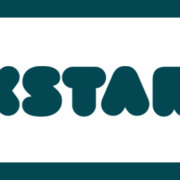 I am definetely a crowd funding enthusiast – I am supporting a fairly large number of projects. But I support those projects with expectations that I think are right: not all projects backed will be good, not all of them might come out, but all of them have something that makes me want them to succeed and support them in that process. I hope that this view of crowd funding is getting more and more prevalent among the backers – more so than the “it is just like a pre order” mentality. Another big factor to take into account is the appearance of Early Access on Steam. 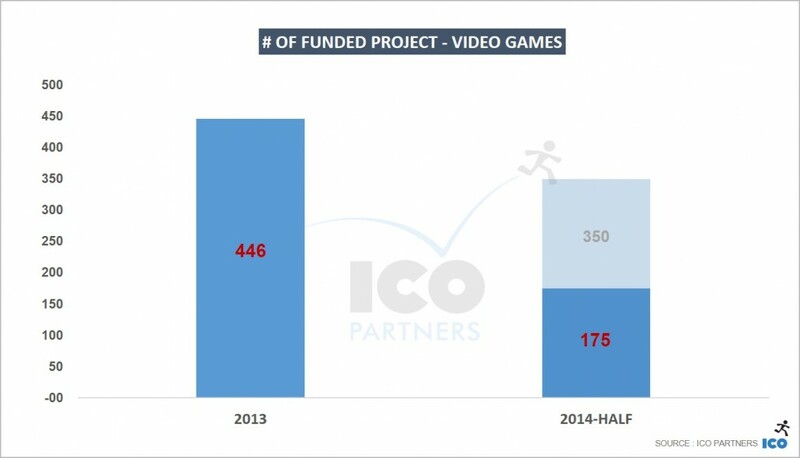 The vast majority of the Kickstarter video game projects are PC-based and when you consider the amount of work required to get a project funded on Kickstarter, compare it to the relative ease to go to Early Access in comparison, and add to that the fact that on Early Access the funding doesn’t stop after one month, I suspect a lot of Early Access successes skipped the crowd funding phase to go directly to alpha funding. I cannot fault them – Early Access is a great opportunity for developers as well. Not entirely incompatible with a crowd funding campaign, it can still prevail because the amount required is not as important. Especially with the current trend where projects do need at least a playable demo to get a chance to get funded. If you have a playable, why not go directly to Early Access? 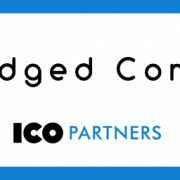 I see a lot of added value for a crowd funding campaign still – it is a catalyst, it gives drive to your fans to talk about your project a lot in a limited time frame, it forces you to think about your project differently and learn how to communicate on it – but it is not a solution that is good for every project. Overall, as I said earlier, it looks like crowd funding for games has declined. I take it as step towards maturity – it will possibly steadily grow from there and be a bit more sane than it has been in the past two years.